Expert Witnesses: Testimony has been given in this case by certain witnesses who are termed experts. Expert witnesses are those who because of their training and experience possess knowledge in a particular field that is not common knowledge or known to the average citizen. The law permits expert witnesses to give their opinions based upon that training and experience. 6 Updated January 2016 General Instructions You are not required to accept the testimony of any witnesses, expert or otherwise. Testimony of an expert, like that of all witnesses, is to be given only such weight and credit as you think it is properly entitled to receive. O.C.G.A. 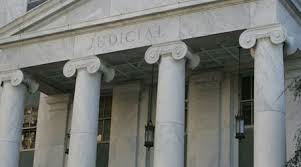 §§24-7-702–24-7-705 McCoy v. State, 237 Ga. 118 (1976) Columbia County v. Doolittle, 270 Ga. 490 (1999) OR substitute 11th Cir. PJI, p. 33, as follows: When scientific, technical, or other specialized knowledge might be helpful, a person who has special training or experience in that field is allowed to state an opinion about the matter. But that does not mean you must accept the witness’s opinion. As with any other witness’s testimony, you must decide for yourself whether to rely upon the opinion. O.C.G.A. §§24-7-702–24-7-705. And regarding the number of witnesses who testify, under Georgia law, the idea that whoever has the most witnesses wins is simply misplaced. Georgia evidentiary law states “[t]he testimony of a single witness is generally sufficient to establish a fact.” O.C.G.A. § 24-14-8. The credibility of a particular witness’s testimony, including experts, is for the jury to determine. Reyes v. State, 334 Ga.App. 552, 557 (3), 780 S.E.2d 674 (2015); Epperson v. State, 340 Ga. App. 25, 32, 796 S.E.2d 1, 7 (2016). So counsel must be thoughtful and careful to explain this to jurors who sometimes get off track and think just because the Defendant had three expert witnesses and the plaintiff only had two, defendant wins. Not so fast! And finally, jurors must be reminded that even in medical or scientific cases, with technical expert testimony, they never give up the right to use their common sense. They are free under Georgia law to ignore all expert testimony, or free to believe some experts and not others, to judge an expert witness’s credibility as they would just a layperson’s, exploring their motivation to testify in a certain manner, or the way they testify or how much they are getting paid and by whom to testify to a certain opinion. Jurors can simply choose to rely on their common sense to figure out the truth. In fact, at least one justice on the Georgia Supreme Court has noted that jurors should not be precluded from using their common sense regarding the sufficiency of evidence of venue in a criminal case, just for example. See, e.g., Propst v. State, 299 Ga. 557, 568, 788 S.E.2d 484, 494 (2016), reconsideration denied (July 25, 2016), cert. denied, 137 S. Ct. 646, 196 L. Ed. 2d 542 (2017)”To the extent that the erroneous logic of the majority opinion in Jones v. State, 272 Ga. 900, 903–904, 537 S.E.2d 80 (2000), precludes jurors from making this common-sense and mathematically supportable inference, I continue to believe that we should eventually disapprove that holding. See Jones v. State, No. S16A0314, 299 Ga. 377, 788 S.E.2d 477, 2016 WL 3658940 (2016) (Nahmias, J., concurring).” Judges rely on common sense interpretations constantly in reaching their decisions. For example, “common sense” is used in 5,381 decisions by Georgia appellate courts (both State and Federal). So why shouldn’t jurors?